This post is the second part of a long-planned three part series on Longgang (龍岡), a culturally and historically significant area of Zhongli, the city I’ve called home for the past decade. In the first post I introduced and listed the reasons why it stands apart from your average Taiwanese community. This post will focus on the beautiful and historic mosque that serves the people of that unique community. If you missed the first post, which focuses more on the history of the area and more importantly answers the question as to why the area has a mosque, I’d recommend taking some time to go back and read that one before moving on with this one. When I first arrived in Taiwan over a decade ago, an expat sighting around town was still something that was considered a rare experience. Whenever someone saw myself or my friends, they were likely to stare for a bit and then suddenly shout “American!” or “so handsome!”. Neither are actually true statements. Over the years however I’ve come to accept these kinds of things as part of the friendly and welcoming nature of the people of Taiwan. In recent years though, there has been a noticeable shift in the way some people, especially the younger generation react to the sight of a foreigner. While most are still quite hospitable and friendly, it is becoming common to hear the experiences of some expats who are randomly approached on the streets and told to “go back to America”. There are of course a myriad of reasons for this. That being said, a group of foul-mouthed kids was probably just what the doctor ordered to ease a bit of the ‘weirdness’ I felt while visiting the local Mosque. I had known about the Longgang mosque for a while and that it was an important cultural and historic building here in Zhongli - But I truthfully always felt a bit apprehensive to visit (especially with my camera) as I’ve leanred in my travels that mosques aren’t the easiest places to photograph. Normally in Taiwan I walk around temples and take photos and have never once felt unwelcome or that I was doing something wrong. Taiwanese people love sharing their culture with foreigners and no matter what you believe in, you are free to walk around and appreciate all the art and culture that is put on display. I feel like churches and mosques are a bit different. When in Taiwan though, do as the Taiwanese do! When I approached the mosque I took quite a few photos of the beautiful gate and the exterior (trying not to be noticed) and saw a bunch of young boys hanging out on a picnic table in the shade nearby. They were having a loud conversation with a woman in a hijab and the conversation seemed lighthearted - save for the fact that the kids had a penchant for using foul language. I decided that the lightheartedness and lack of formality was probably evidence that while I was visiting a mosque, it was a mosque in Taiwan and probably very much like every other temple or religious place I’ve visited. After a few minutes of banter between the teenage boys, the lady walked over to me and said very plainly in Mandarin: “Hey handsome, what brings you here?” I replied that I was studying the history of the area and learned that the mosque had quite a bit of historic significance to the area. That was enough to earn myself a guided tour! 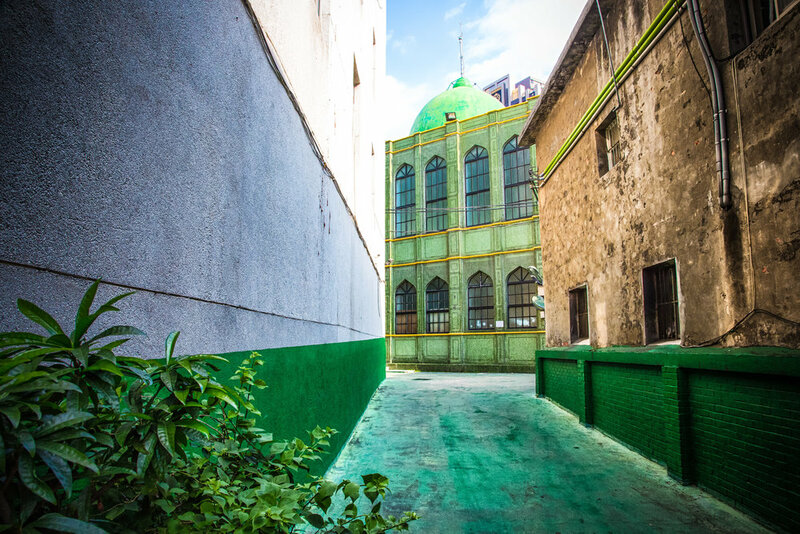 The Longgang Mosque dates back to the 1960s and shares an interesting history that coincides with the political and military history of the Republic of China Armed Forces. With this blog I won’t be focusing on the religious aspects of the mosque but will instead spend more time on its historical importance and the reason why it exists in a country with a very small Muslim population. You’d probably also be surprised to find out that the history of Islam in Taiwan dates back to 1683. Walking around the streets of Taiwan, you’re not likely to ever notice anything Islamic in nature. Even though there is a three century history of Islam in Taiwan, the Islamic population makes up only 0.2 percent of the total population today. These days the Taiwanese government does a pretty good job promoting religious freedoms and over the past few years has done quite a bit to ensure that Taiwan is a safe and inclusive place for Islamic tourists to visit. Taipei City in particular has done quite a bit to identify and promote Halal-friendly restaurants and has committed to constructing more Mosques and prayer rooms in public spaces. It is probably safe to say though that when most locals think about Islam, they are likely to associate the religion with foreign labourers from Indonesia. I’m sure few people really have no idea how, where or when Muslims worship. It just isn’t something that people notice in their everyday life. 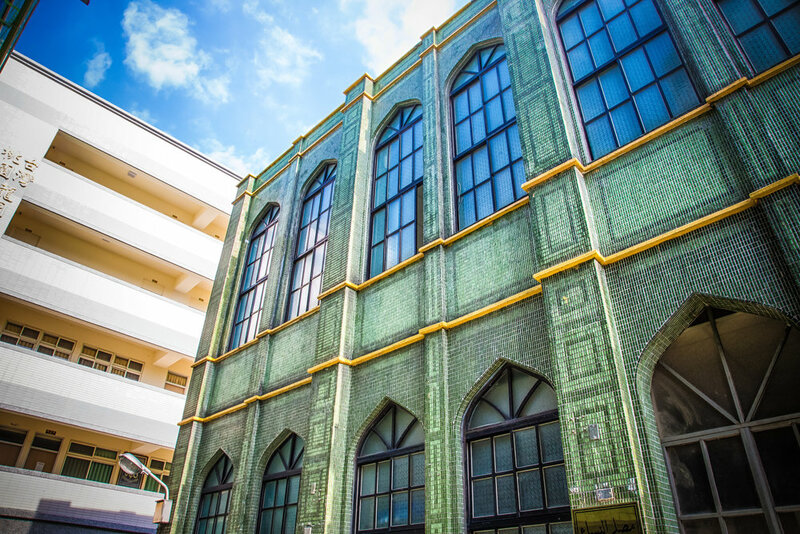 There are currently seven large mosques in Taiwan that serve not only the religious needs of the foreign labourer population (and tourists) but also the people who came to Taiwan from the Yunnan-Burma region in the 1950s and 1960s. Prior to the 1950s it was unlikely that you’d find many Muslims in Taiwan. When the Kuomintang was forced to relocate thousands of guerrillas and their dependents from the Yunnan-Burma border region in the 1950s-1960s, the nation was suddenly faced with a population of Muslims who had no place to worship. 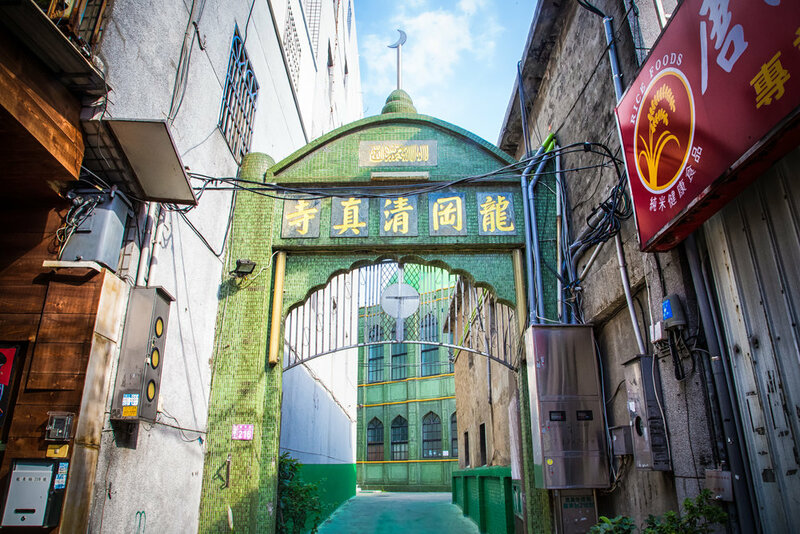 To solve that problem the government and religious organizations worked together to construct five mosques between 1947 and 1967 in Taipei, Taichung, Kaohsiung and Zhongli. 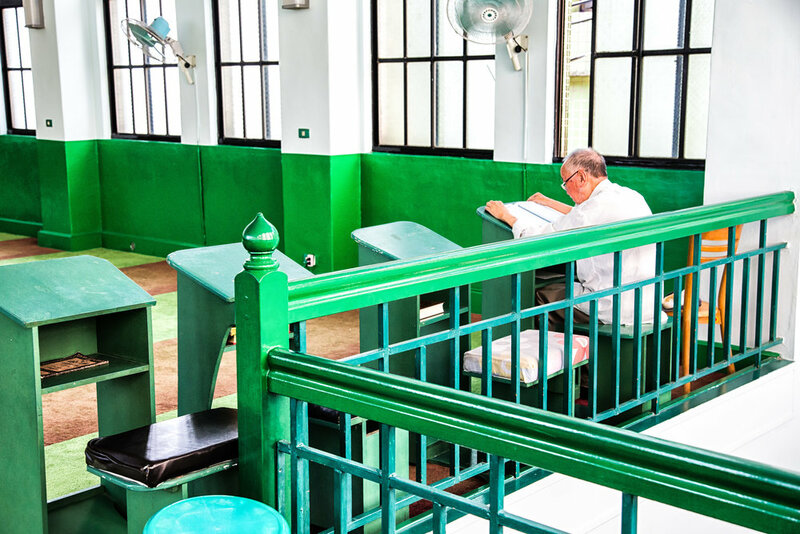 In 1967, the Zhongli Mosque was built in the Longgang area of the city where there was not only a high population of evacuees from the Yunnan-Burma region but also several military bases and military villages. The Mosque that we see today is the result of several periods of construction, expansion and renovation throughout the fifty years of its existence. 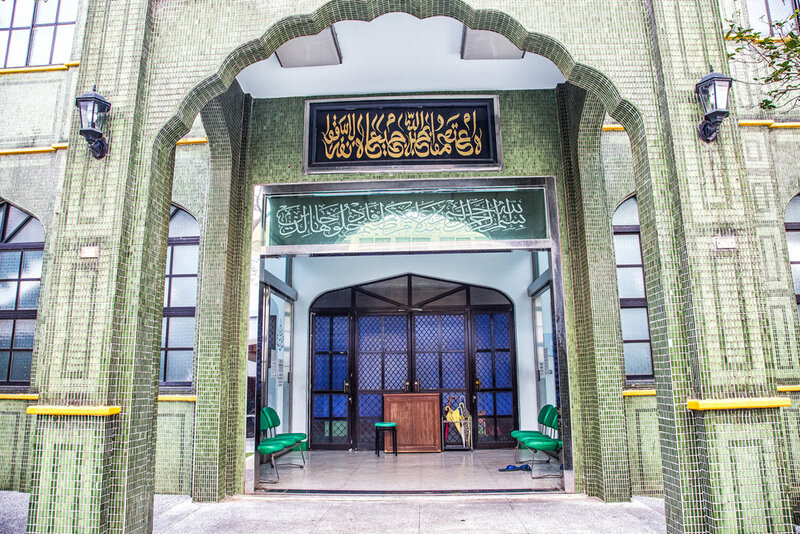 When the mosque was originally constructed in 1967 it was considerably smaller than it is now and was hastily built (much like the military housing in the villages nearby) using materials and construction techniques that weren’t suitable for Taiwan’s humid environment. 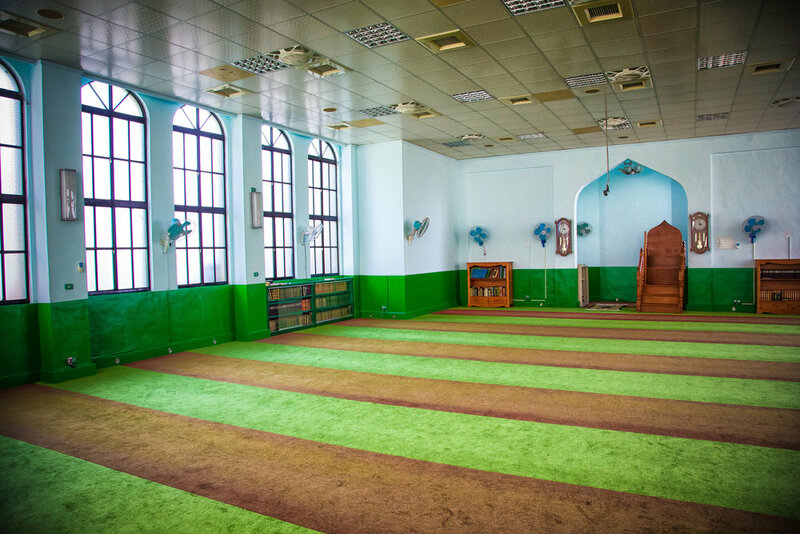 After joining the Chinese Muslim Association (中國回教協會) and receiving funds from Saudi Arabia the group was able to reconstruct and renovate the existing building as well as purchase land adjacent to the mosque in order to construct dormitories, shower rooms and a kitchen. 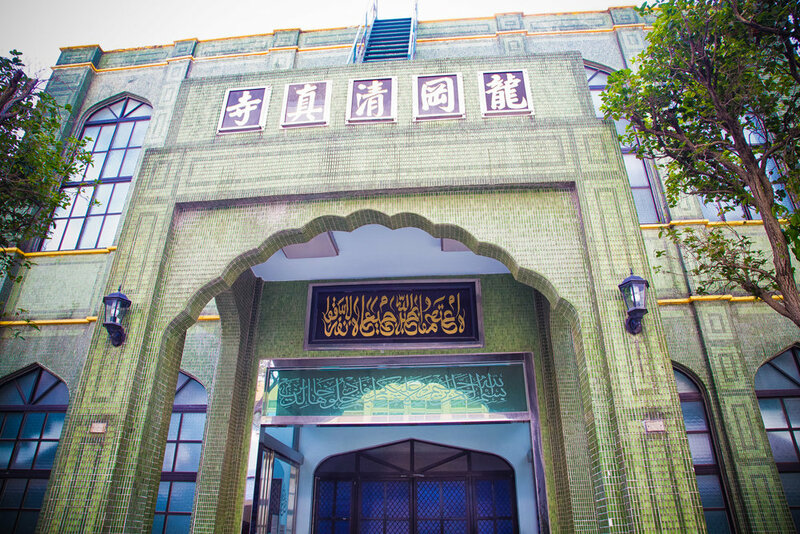 The mosque complex we see today was completed in 1995 and consists of the main building and a larger one next to it that serves as the official residence of the Mosque’s Imam (Abdullah Liu - 柳根榮) and where the administrative staff offers classes to the public. I’m not as well versed in the design techniques of Islamic Mosques as I am with East Asian Temple design but what I can say is that the mosque is quite a bit different than what you’re probably used to in Taiwan and is very minimalistic in design. 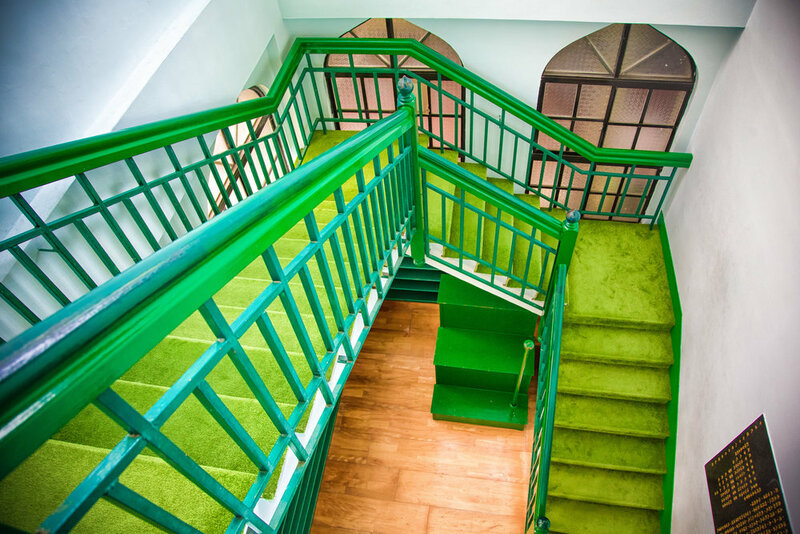 The exterior and interior of the building are a dark shade of green (which symbolizes freedom) with plain white walls on the inside. 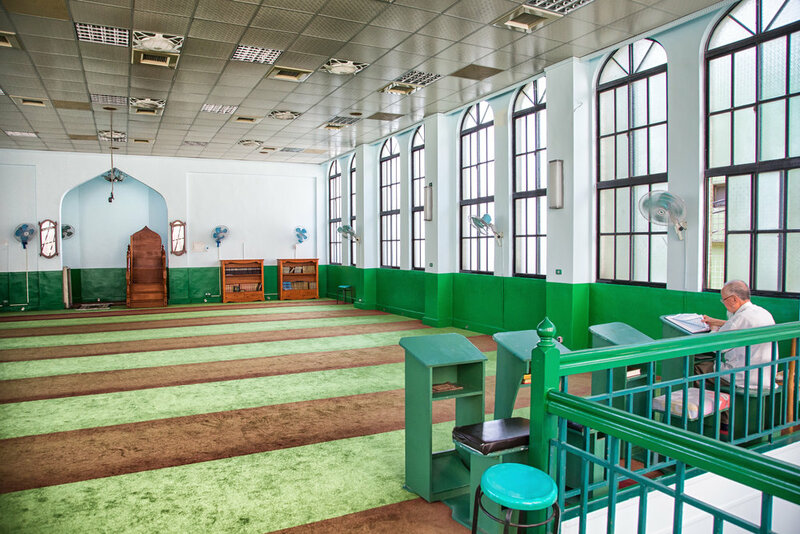 As is custom, the Mosque is gender segregated with separate entrances for both men and women - Men worship on the top floor while women are relegated to the first floor. I would typically complain that this type of segregation is a terrible thing but in the case of this mosque, I’d say the women are the winners due to the fact that the heat on the top floor of the Mosque was almost unbearable while I was touring it. The Mosque is open every day and is available for the daily call to prayer. The busiest day of the week is on Fridays when the Imam offers services to the public. 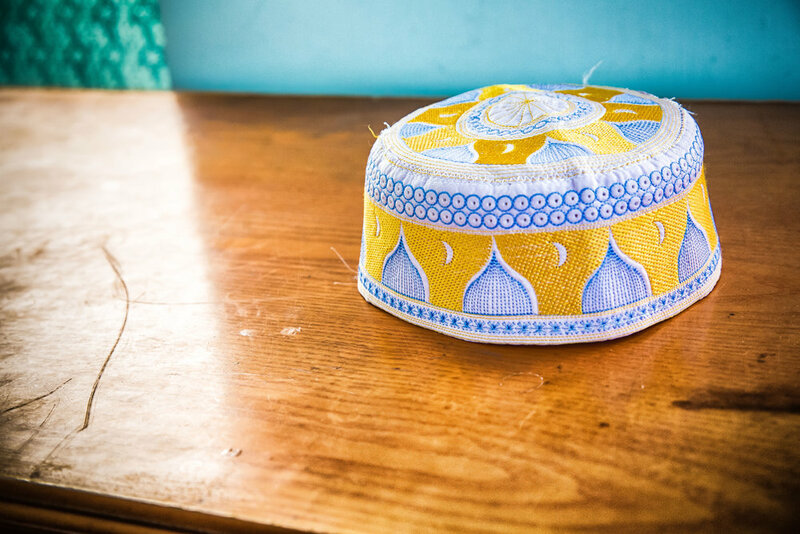 The atmosphere at this mosque is quite laid back and considering the historical importance it has in the area, it is also attracts a few curious people who stop by to check it out. Travellers shouldn’t worry that they are intruding on sacred space, that they won’t be welcome to visit or that they will have religious pushed on them - The people who run the mosque are welcoming and there are signs in Chinese, English, Arabic and a few other languages that explain the history of the mosque to visitors. 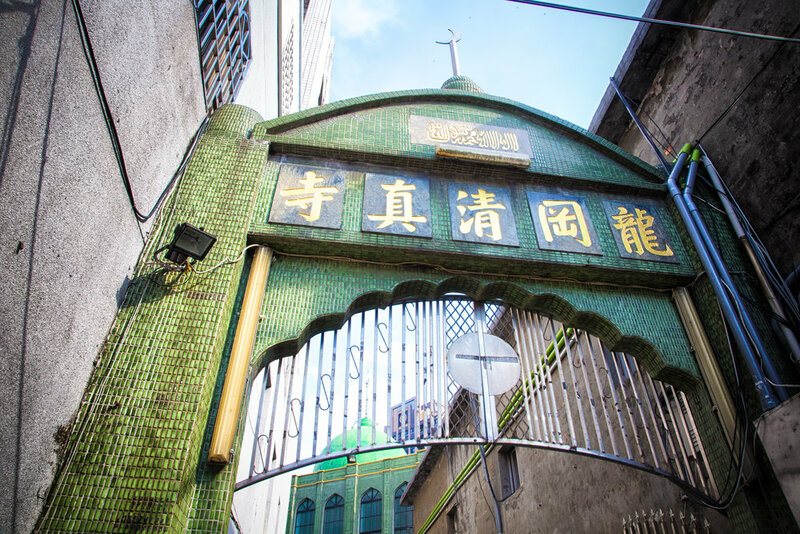 If you are coming from another area of the country and want to visit the Mosque, the best way to get there via public transportation is to take a train or bus into Zhongli (中壢) and then from the bus station (next to the train station) take a bus (#112) headed toward “Zhong Zheng” (忠貞) getting off at Longdong Road (龍東路).